Every Monday for the last while, two adorable egg ladies deliver cartons of fresh brown eggs to my door. I wanted to give them a little something for Christmas, and my husband suggested change purses since they always seem to walk away with the money in their hands. 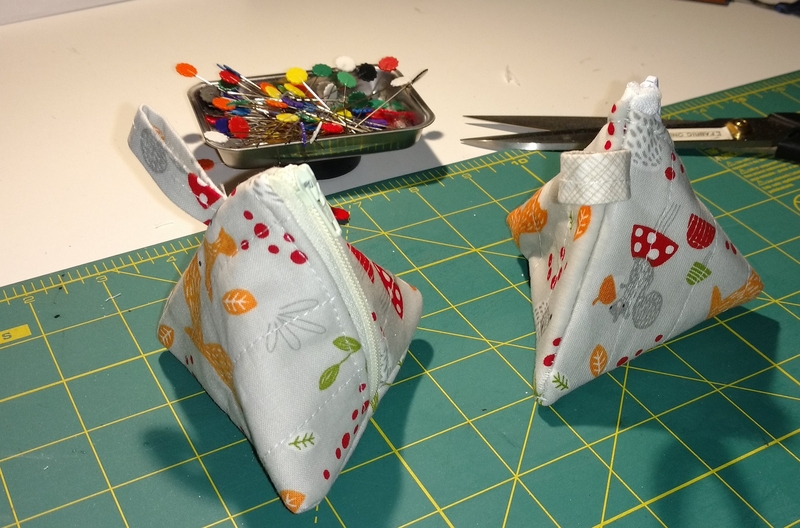 Following this tutorial for triangle bags, I made these two purses up. I may have to make one for myself.